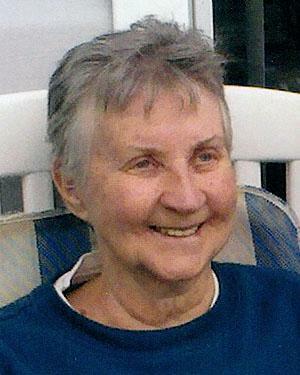 Edith Catherine Tarczali of Chase passed away on Thursday, September 22, 2011 at 68 years of age. She is survived by her loving husband John Tarczali, sons Andy Tarczali of Kamloops and Steve Tarczali of Richmond BC; grandchildren Meghan Tarczali, Brendan Tarczali, Lauren Tarczali, and Jenna Tarczali; and her siblings Elmer, Alberta, Percy, Irvy, Winnie and Elsie. Predeceased by her brother Leonard Todd. Edith was born in La Tuque, Quebec on January 16, 1943 to John Howard Todd and Margaret Ann Smith. Edith and John Tarczali were married in Vancouver, BC on October 21, 1967. Edith enjoyed camping and travelling with her family. Her interests included reading, cooking, and playing with her grandkids, Meghan and Brendan. Edith will be remembered for her generosity and unselfish personality. Love for her family was always first. Friends and Family are invited to a Graveside Service that will take place at 3:00 p.m. on Tuesday, September 27, 2011 in the Hillside Cemetery, 750 Notre Dame, Kamloops, with Reverend Viktor Gundel officiating.